Combine the coconut milk and wasabi in a large nonreactive bowl. Next, juice 3 limes and then grate the zest into the coconut milk mixture. Combine well and reserve about ½ cup for use later. Add your chicken wings and let marinate for 30 minutes in the fridge. Preheat your grill to 350°F. Oil your grill grates so the chicken does not stick. Remove the chicken wings from the marinade and pat dry. Grill wings on each side for approximately 7–10 minutes or until char marks begin to form. Baste with the marinade mixture as they cook, flipping as necessary. Slice the remaining lime and grill until nice char marks form (these will make for nice presentation with the wings later). Remove the wings from the grill when they reach an internal temperature of 170°F. Tent wings with foil for 5 minutes. 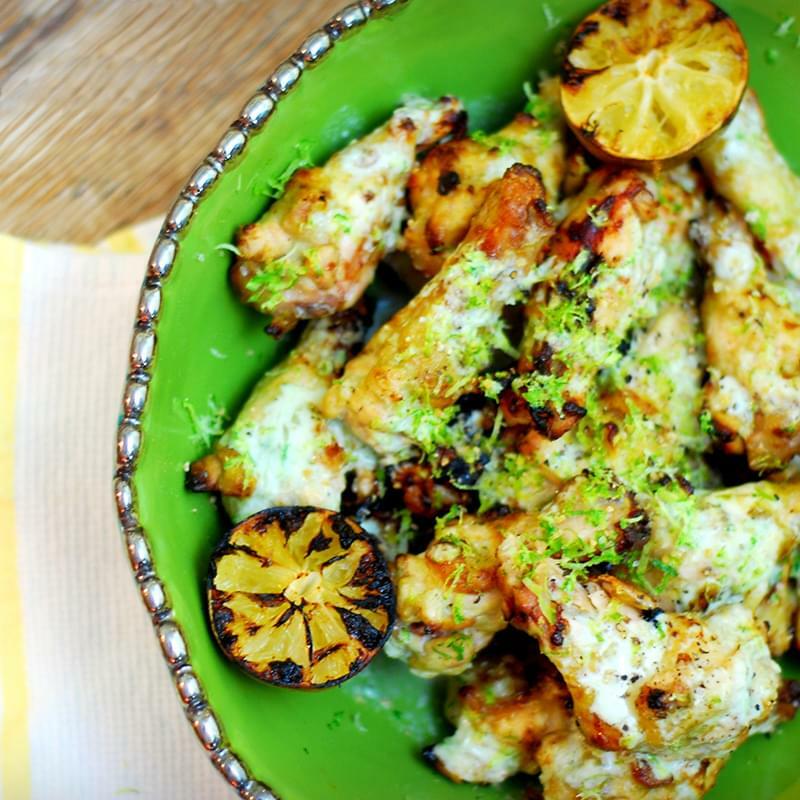 Plate wings with the grilled lime (you can squeeze the juice on at the table) and additional lime zest. Drizzle with sauce and generously sprinkle with sea salt and pepper. Serve immediately.